Home Archives	Snorkeling for Beginners Guide: First Time Snorkeling? As much as I love the beach, nothing soothes me more than taking my snorkeling gear, dive into the sea. Then I remember the first time I ever dip myself into the sea. I was scared because I literally had to jump into the sea. the BIG OCEAN. Some thoughts were flashing through my mind, and the real bad one, like if the sharks suddenly came out (which turned out sharks are human-friendly) or something pulls me down under. Damn! I wish I knew some snorkeling for beginners guide to help myself back then. Even though there were many people who have not ever try snorkeling before due to fear or the worst part, because of the trauma. I gotta say, you missed a lot! Sightseeing the underwater world surely like watching a different world where its inhabitants are gorgeous creatures that you could not find on the land. So I encourage many people to at least try snorkeling, cos its cheaper and less hassle than diving. As for fear for any first time snorkeling, it’s unavoidable but if you prepare things to get ready, I assure you, you can be more relax underwater! First thing first, makes sure everything you will be wearing and use is fit into your size. Simple thing to consider such as if what you are wearing is good enough for snorkeling. If the bikini is not your thing, wear something light cos it will be heavier underwater, or better, wear the diving suits for the Moslems girls. I like using tank top with shorts in most of the places in Indonesia, cos sure it is still conservative about the bikini, but some touristy places wouldn’t even care what you are wearing. The next important equipment is your snorkeling gear. Some people prefer to buy their own gear, but you can also rent them if it’s your first time. The important thing is to check your mask on land by putting them into your face without tight them up. See if it’s still on to your face without falling. Wear your flippers and make sure its tight, cos it will be bit loosen up underwater. Of course, make sure it’s comfortable for you to wear. As I had the wrong start by learning to snorkel right away into the sea in Karimun Jawa, I finally began to exercise at the swimming pool after that trip. I got myself used to be underwater in the swimming pool. Trying to understand the system and how the mask and snorkel works. Then I began to snorkel again on the next trip to the Thousands of Islands (Kepulauan Seribu) in Jakarta, as it was a good place to start for beginners and easy to reach back then. The truth is whenever I go down to the underwater, I always feel excited yet fear. I don’t think it will never go away. But then once I saw the fishes and colourful corals with an amazing view. I got to relax. I enjoyed the scenery and start to play around with the fishes. Don’t make the same mistake as I do. Start on the place with someone who you already know how to snorkel. Ask him or her to show you again before you go down. If you are still afraid to lose your balance, grab one of the life vests as your guidance even if you wouldn’t wear it. Check the weather and season on the place you choose. 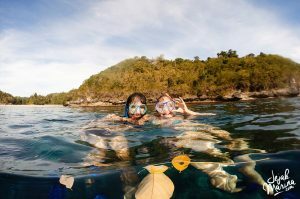 I have yet to found many places to start snorkeling in Bali, and the best place I can suggest is in Amed, Bali where you can start from the beach instead. Easier to reach, pocket-friendly, and you can control yourself at the sea. There are plenty of places you can start, but remember to always check with you guide whenever you are in the sea. You don’t know which one of them is dangerous or not. Most of all please don’t stand on the coral even with your fin. You have destroyed the fish’s house. So just put your body laying up floating in the water when you feel tired of snorkeling. Help dispose of the trashes on the ocean. I am super aware of this condition, especially when I went to Kepulauan Seribu, as it was too close with Jakarta, people dispose of many trashes on the ocean instead. Some of the sea animals could eat them and it can lead to extinction. So when you are snorkeling across and found the plastic bag or trashes, please help the ocean by taking them to your boat and dispose it on the land. 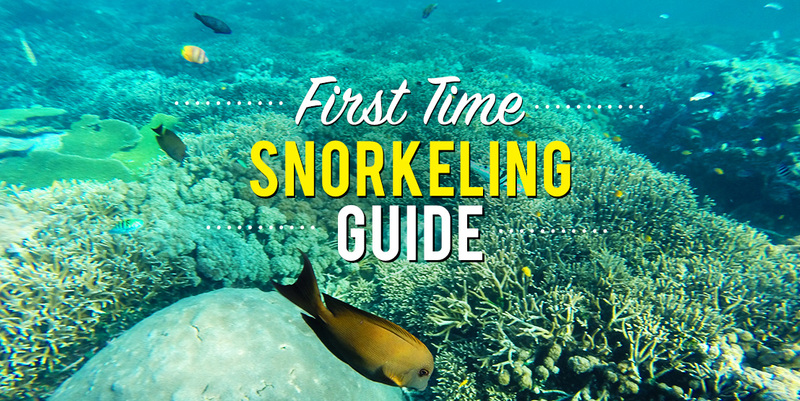 Use the local guide whenever you are snorkeling. When I went snorkeling in Menjangan Bali, I asked the local guide to take care of our group together which he did. 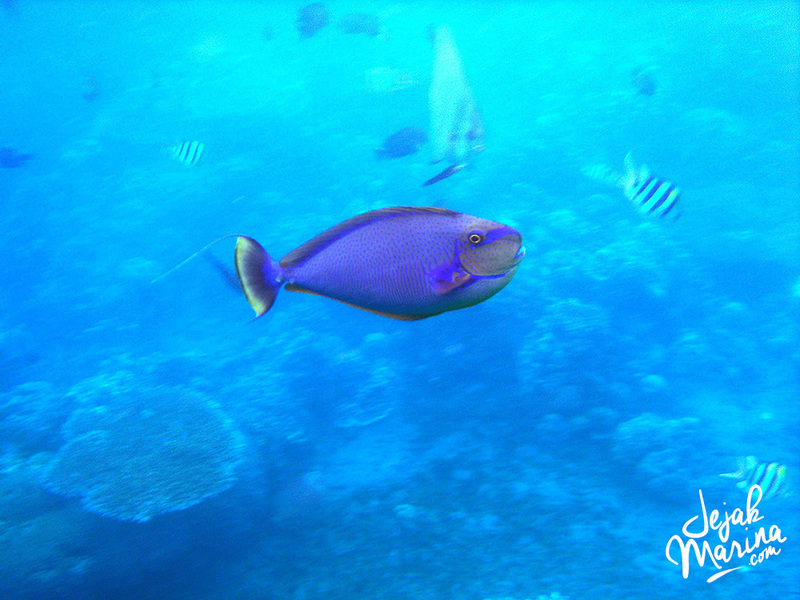 He also showed a couple of spots to see some of the fishes and beautiful corals. It is best to get to know the spots from them and well-protected in case something happens. Swim and snorkel near them if you were felt nervous and scared. Some of the ingredients in the sunscreen are killing the fishes. There is special sunscreen that is reef friendly and safer to use. Read this to get to know more about which product you can use – they have test lots of products and I am proud to say that I have tried them on too! 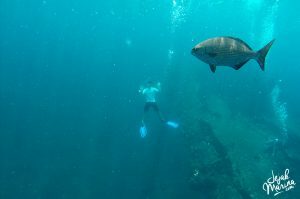 When I went snorkeling in Nusa Lembongan and Nusa Penida, Bali, which has the hardest tide I have ever been, I got panic and almost hit my head to the boat. I know the excitement of being underwater and sometimes I forgot about what happens around including my friends. Always keep sights on the other snorkelers and of course, the guide. Please be aware all the time of your surroundings. Know the perfect time to go for this spots. 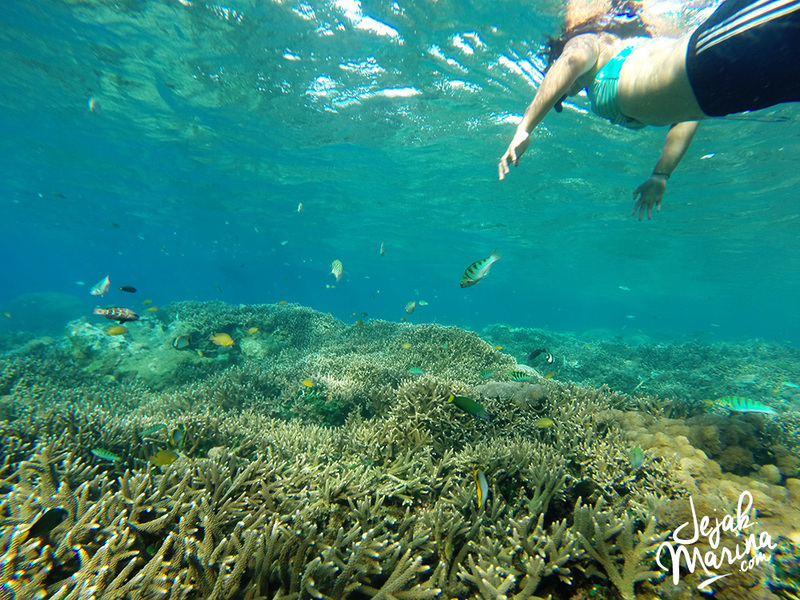 You wouldn’t want to end up snorkeling with murky water and cold weather in the rainy season. Always check which months are the best to snorkel on your destination. Now, there you go! Are you ready for your first underwater experience? Marina what a great website! You should come to snorkel on Koh Tao next! I’ve never done that before. That’s to put on my wish list before I die, hahaha. Love this guide! I’ve never been so it was really educational and on point. Your photos are beautiful! I’ve never been snorkeling but this looks so fun! I can’t wait to try it. Gorgeous photos by the way! I’ve never been snorkeling before, but this looks really awesome. It is! You should try! Yess!! Thanks! Hope it helps! We did snorkel in Phuket, Thailand though. Can u please advice that is it wise to snorkel at Nusa Lmebongan & Nusa Penida for us ? 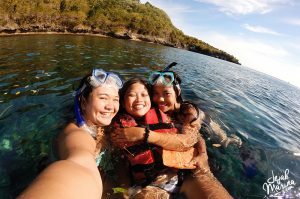 Safe snorkeling and have fun!